Movie of meiosis I (diakinesis through telophase)in primary spermatocytes of the crane-fly Nephrotoma suturalis that have been experimentally flattened. 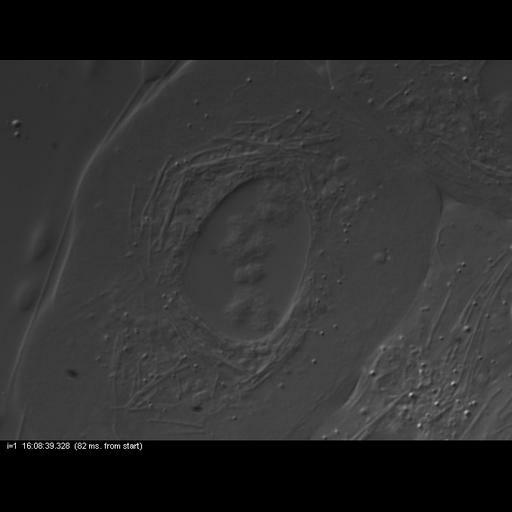 Flattening prevents completion of cytokinesis. Time-lapse DIC microscopy using a Nikon Microphot SA, equipped for liquid crystal polarized light microscopy (LC-PolScope, CRi, Woburn Massachusetts) 60x/1.4 PlanApo oil immersion objective, 1.4 NA oil imm. condenser, with 2.0x zoom lens. Images captured every 2 min for 180 min using a QImaging Retigo EXi CCD camera. A movie of the time series is based is included in this grouped set.